Haitoglou family, fleeing Asia Minor, arrives in Thessaloniki, Northern Greece's largest city, as refugees. They carry with them a strong family tradition and a secret recipe for making halva, a popular sesame seed-based confection with outstanding nutritional value. Soon enough, they start a small business dedicated to what they know how to do best: halva. Eight years later, Haitoglou's halva is becoming more and more popular and a new industrial installation is acquired in Damonos Street, between the old and the new railway station of Thessaloniki. The company will flourish here for the next 30 years. The popularity of the mouthwatering confection is such, that Haitoglou family members and their employees back in Damonos Street can no longer keep up with demand. The decision for relocating the company is taken and the headquarters are moved to Kalochori; an area which was about to become the industrial hub of Thessaloniki some years later. 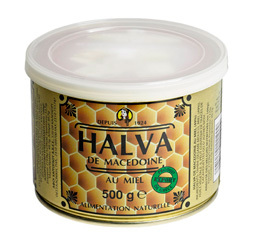 Being renowned all around Greece by now, "Macedonian Halva" is making its debut in the foreign markets, in the first -and completely successful- attempt of the company to begin its exporting activity. 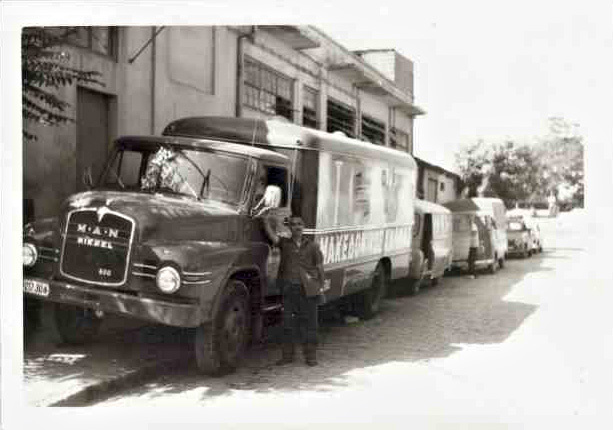 Seventy years after its establishment, the Haitoglou company initiates the operation of the new production plant for halva in a 53.819 sq. ft. purpose-built facility. 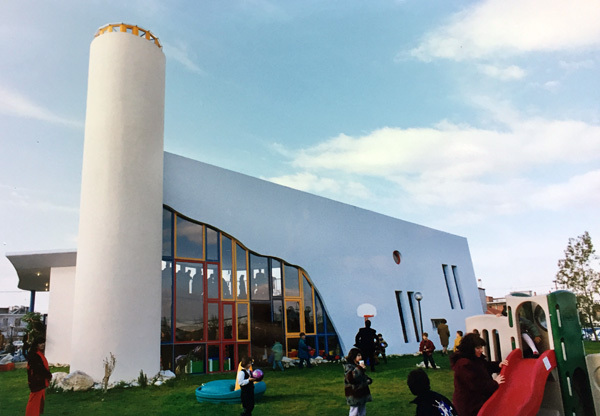 While the company is growing bigger and bigger, the family character of the business does not wear off; Haitoglou brothers show their gratitude to the local community of the area which has welcomed them and their company, and donate for the construction and operation of the local nursery school. 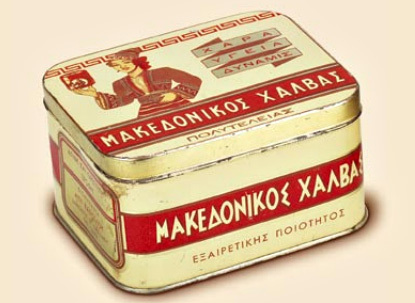 As the '90s progress, Haitoglou's halva has already become a product to be found in the kitchen drawers of every Greek household and the Haitoglou brand, a synonym for premium, healthy and tasteful confectionery. But the family is restless and wants to keep up with the times. 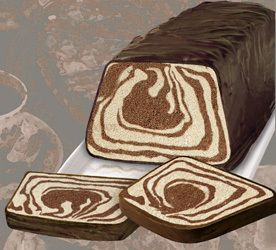 A new product range is therefore launched with excitement: the chocolate coated halva. A series of products which was about to make the product market evolve radically and the consumers to crave, once more. In 2004, while Olympics are taking place in Athens, Haitoglou Bros had already completed their own, very successful marathon. The operation of a new sesame processing plant begins and Sesame Oil is produced in Greece for the first time ever! 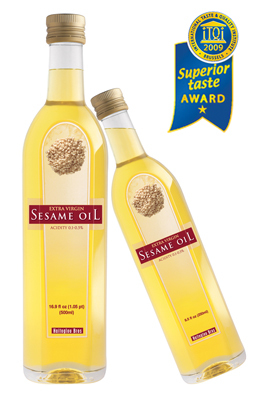 Four years later, the company will be awarded with the Superior Taste Award for the Virgin Sesame seed oil by the the International Taste & Quality Institute in Brussels. 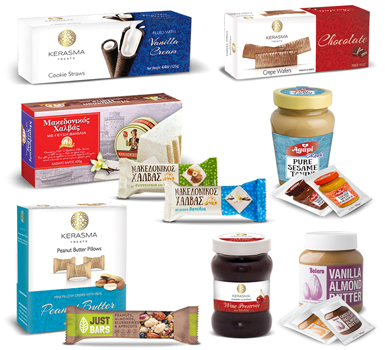 This unique product is being loved by the consumers who enjoy its nutty flavor in sweet and savory dishes. Smooth, light and crisp was Haitoglou Bros’ new endeavor. And robust! 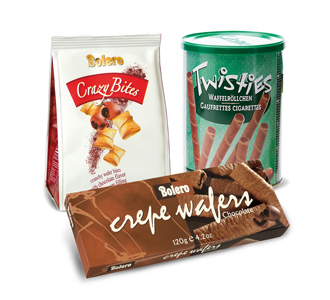 A new series of wafer snacks launched after years of recipes, trials and continuous improvements. Wafer rolls with rich creamy fillings, crunchy crepes as well as fruit ‘n’ nut bars all found their way to the shelves and are thriving since then! Haitoglou Bros has grown by leaps and bounds. From the first small family business back in 1924 to today, being Europe’s largest sesame processor, we are dedicated in our mission: making all-natural, premium foods with only the finest ingredients that taste good. Keeping a finger on the pulse of what customers need, we will continue to develop new series of products, expand private label goods manufacturing and keep offering what we do best since our foundation: produce foods which are worth talking about!